Rohan is a lawyer, a (huge) foodie, and legal counsel at Yum! Brands covering KFC Asia and Pizza Hut Asia Pacific. 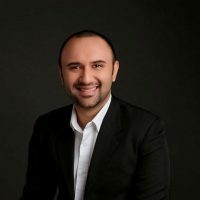 He studied law and finance at the University of New South Wales in Sydney, speaks fluent Hindi and Urdu, and is a qualified solicitor in England & Wales and New South Wales. Before joining Yum!, Rohan worked with law firms Linklaters and Mayer Brown in London, Moscow, Tokyo and Singapore. He is the founder of Food Ninjas Asia, an informal social network for foodies across the region, and the Law Ninjas, a social network for in-house lawyers across the globe.